Our organization is focused on reaching women in STEM (Science, Technology, Engineering and Math) studies and fields, but UNT SWE is proud to accept new members of ALL Majors and Genders. There is no membership fee to join our chapter, however there is a membership fee to join National SWE (more below). 1) If possible, attend the next available meeting. You'll have an opportunity to meet the officers and your fellow SWE-Sters! Just flag one of us down and let us know you're a new member or interested in joining, and we'll walk you through the process. You can find our list of upcoming meetings here. If you are unable to attend the next available meeting, or you would like to become an official member sooner, email untswe@gmail.com and then follow the steps in the rest of the checklist. Signing up for our emailing list helps you stay up to date on meetings, activities, volunteering or other events. We highly recommend it to all active members in our organization so that they can know about all upcoming events. You can find this packet on our New Member Information page. This packet contains all of the essential information a new member of UNT SWE needs to know about our chapter, philanthropies, activities and requirements. This is a requirement so that you can be recognized as an official member of our chapter by UNT. 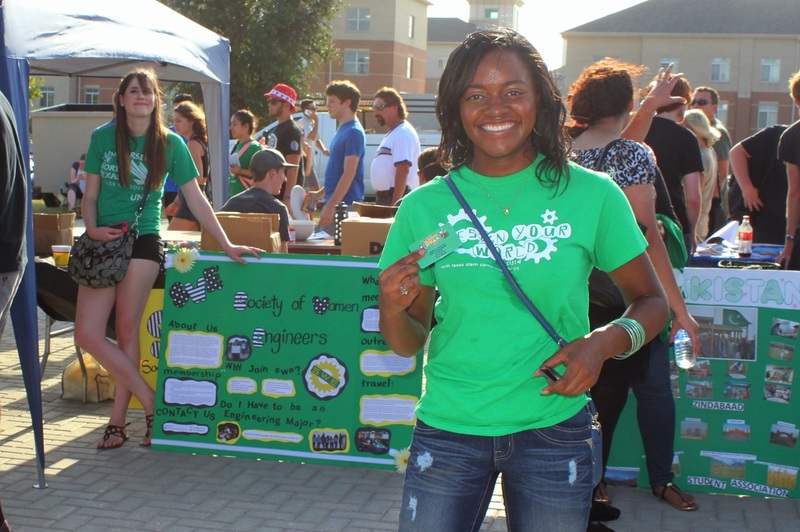 You can find the UNT OrgSync here under student activities. 5) Join in for our social events! This isn't a requirement, but they are a lot of fun and a great way to get to know the other members better. You can find a list of our upcoming social events here. 6) Register with National SWE. As a chapter of the national SWE organization, we ask all members to register with national SWE. However this is not a requirement for joining our chapter. There are a lot of benefits to joining national SWE, and at times we provide small scholarships which help members pay the national SWE membership fee. For more information about joining National SWE, check out our page on National SWE membership here.